“The single description which will include a larger percentage of Jews than members of any other race is this: he is in business. It may be only gathering rags and selling them, but he is in business. From the sale of old clothes to the control of international trade and finance, the Jew is supremely gifted for business. More than any other race he exhibits a decided aversion to industrial employment, which he balances by an equally decided adaptability to trade…. 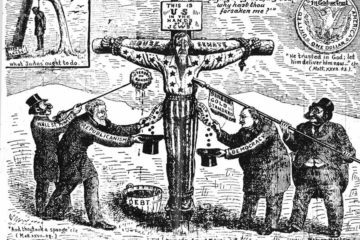 “In America alone most of the big business, the trusts and the banks, the natural resources and the chief agricultural products, especially tobacco, cotton and sugar, are in the control of Jewish financiers or their agents. Jewish journalists are a large and powerful group here. “Large numbers of department stores are held by Jewish firms,” says the Jewish Encyclopedia, and many if not most of them are run under Gentile names. Jews are the largest and most numerous landlords of residence property in the country. They are supreme in the theatrical world. They absolutely control the circulation of publications throughout the country. Fewer than any race whose presence among us is noticeable, they receive daily an amount of favorable publicity which would be impossible did they not have the facilities for creating and distributing it themselves…. “The question is, If the Jew is in control, how did it happen? This is a free country. The Jew comprises only about three per cent of the population; to every Jew there are 97 Gentiles; to the 3,000,000 Jews in the United States there are 97,000,000 Gentiles. If the Jew is in control, is it because of his superior ability, or is it because of the inferiority and don’t-care attitude of the Gentiles? It would be very simple to answer that the Jews came to America, took their chances like other people and proved more successful in the competitive struggle. But that would not include all the facts…. “That which we call capital here in America is usually money used in production, and we mistakenly refer to the manufacturer, the manager of work, the provider of tools and jobs — we refer to him as the ‘capitalist.’ Oh, no. He is not the capitalist in the real sense. Why, he himself must go to capitalists for the money with which to finance his plans. There is a power yet above him — a power which treats him far more callously and holds him in a more ruthless hand than he would ever dare display to labor. That, indeed, is one of the tragedies of these times, that “labor” and “capital” are fighting each other, when the conditions against which each one of them protests, and from which each one of them suffers, is not within their power to remedy at all, unless they find a way to wrest world control from that group of international financiers who create and control both these conditions. Hardly the work of a mindless “hater,” wouldn’t you say? And wouldn’t you say that these opening words, written in 1920, accurately describe the plight in which we find ourselves today? 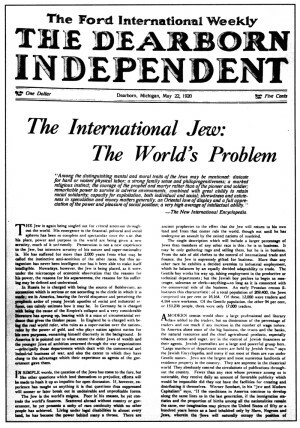 Henry Ford’s The International Jew, though little-known today because of decades of Jewish suppression, was a major international best-seller read by literally millions of thoughtful men and women the world over. By bringing it back to light — and by using our newly-found freedom to read and publish on the Internet, without needing the “help” of gatekeepers in Washington or New York — we can renew its influence for generations to come. Neither The International Jew nor Henry Ford were perfect. Ford and Cameron reflected the prejudices of their times when they took irrelevant stabs at Darwin and Nietzsche, probably due to their self-identification as Christians. They were sometimes too eager to accept quotes and documents from dubious sources, when much stronger documentation on the same points was readily available. And when tremendous financial pressure was brought to bear, and when a mysterious automobile accident sent Ford to the hospital, coming close to killing him, one of his subordinates forged his signature on a phony apology written for the purpose by prominent Jewish attorney Louis Marshall. His post-apology actions indicate that Ford had not altered his opinions, though. 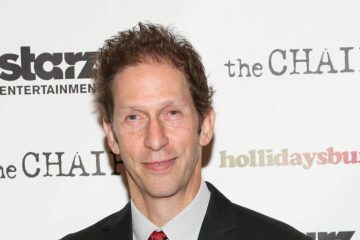 Gerald L.K. Smith visited Ford in 1940, many years after the supposed “apology,” and Ford had not altered his opinions of Jewish activities and said he was considering re-issuing the book. Despite its flaws, The International Jew is a magnificent work, a priceless distillation of many thousands of man-hours of expensive research and compilation, a magnifying glass applied to the hidden sources of immorality, vice, degeneracy, and subversion. 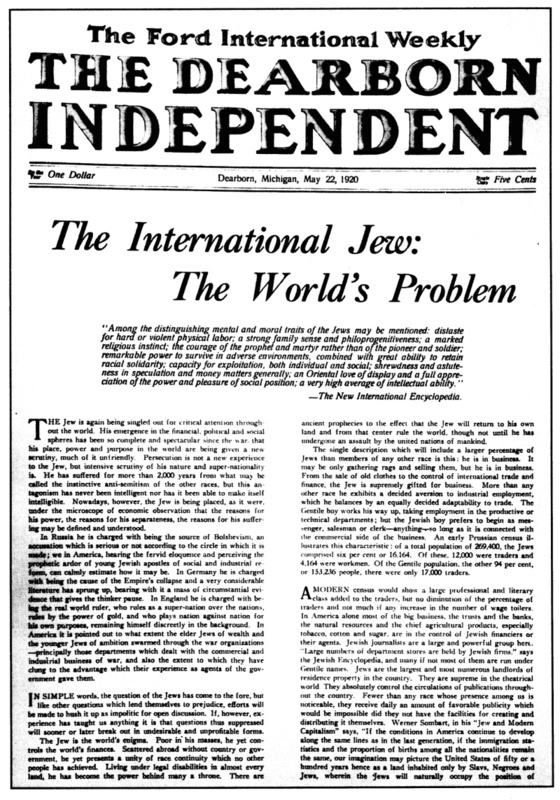 The International Jew was once available in libraries and bookstores across America. As I’ve already pointed out, it was one of the biggest best-sellers of all time. Henry Ford felt that his book was so important that at one point a copy was presented to all purchasers of new Ford automobiles. When I first wrote about Ford’s book in 1994, I said: “Yet today this book is almost impossible to find. You will not be able to buy it in your local bookstore, nor check it out at your local library. If it were not for a few courageous Americans keeping it in print and available to you, you would not be able to find it at all… The truth is that here in so-called ‘democratic, pluralist’ America this book has been nakedly suppressed.” When I wrote, only the National Alliance, Liberty Bell Publications and a handful of other little-known mail-order dealers were selling Ford’s book. They carried us through a very dark time of Jewish censorship. Since then, though, we have seen the rise of the Internet, and one of the results of the ’Net has been a great increase in alternative media and an increase in freedom of speech — and the freedom to publish — without having to pass muster at a New York publisher or book distributor. You still won’t find The International Jew on the shelves of the big chain bookstores, or in any display of “banned books” at your local library — where it really deserves to be. But it is a sign of the near-total failure of Jewish groups to control the burgeoning Internet — not that they haven’t tried and are still trying — when one can simply enter the words “international Jew” into the search engine at Amazon.com and come up with a half dozen sources for this once-rare volume — or put the same search into Google and get over 100,000! Recently, a pro-White radio network, The White Network, carried The International Jew Study Hour, a series of hour-long programs devoted to discussion of this book. Despite all their lobbying of legislatures to “protect our children from hate” (read: prevent our children from reading criticism of multiracialism or Jewish power), despite all the “hate filters” they developed and all the “anti-hate” laws they’ve pushed through, The International Jew — and the truth about race, racial science, and Jewish power generally — is more easily available now than it has ever been. That’s near-total failure on their part. Why are Jewish groups so hostile to this book? Is it because this book is a hate-filled anti-Jewish polemic? No, not at all. The book’s tone is not at all anti-Jewish, and again and again it appeals to the reason and moral sense of its Jewish readers to put a stop to the abuses of their leaders. It is scrupulously fair, even-handed, and factual. It is because of its extensive documentation and the unassailable facts which it presents. For The International Jew is a threat — it’s a threat to those men of money and power who would put a sack over our heads and force us unknowingly and unwillingly into the world plantation they have been preparing for us for decades. This book is a threat to those who would take away our weapons of self-defense, who would rob us of our racial consciousness, destroy our genetic and cultural heritage, take away our self-determination and freedom, and ruin our children’s future. Consider this. Henry Ford did not have to do what he did. He was the living incarnation of success. He was by far the richest industrialist of his day. He was loved and admired by millions. Among the common people, he was ranked with the greatest men of all time. Political power could have been his had he wanted it. He had nothing personal to gain — and all of that to lose — by directly attacking the world’s wealthiest ethnic group. But he did go forward with his investigation and explication of the Jewish Question, at the cost of a large portion of his wealth, at the cost of much of the time and energy of the last half of his life, and at the cost of the alienation of friends, associates, and even family members. And he well knew that he was potentially putting his life in peril by opposing these powerful moneyed interests. Henry Ford did this because he felt a higher duty, a duty that transcended all of those considerations. Henry Ford acted in obedience to a duty which we of our generation must rediscover if our children are to have a future. However discouraging the odds may seem at the moment, and no matter how easy it may be to slip back into our easy chair or into our accustomed work, we must discharge this duty: Wherever we find it, and whatever disguise it wears — we must oppose the genocide of our people. Henry Ford, alas, was not a thoroughgoing racial thinker. He identified as a Christian as much as he did a White American. He did not see the Jewish Question in biological terms, as Jewish leaders unquestionably do, and as we must if we are to prevent our racial obliteration by the replacement migration and racial mixture currently being promoted by the Jewish power structure. Again and again, Ford and his researchers deplore the decline of Christian institutions or Christian-oriented laws, as if Christianity were synonymous with us as a people. Ford did not see Christianity itself as a Jewish-created and Jewish-oriented belief system. Worst of all, perhaps, is the fact that the book offers only one solution to the Jewish Question, and that solution is simply a plea for Jews to reject their current leadership, to stop their parasitic and exploitative activities, to stop doing “what’s best for Jews” and start doing what’s best for everybody, and to stop their manifold efforts to undermine their host societies with degeneracy, vice, and suicidal propaganda. Ford and Cameron address their plea to decent Jews. They saw no need, apparently, to call for any action on the part of the rest of us. The most charitable thing I can say about their plea is that it failed. 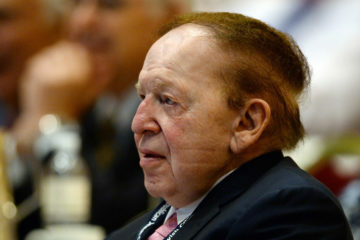 There have been significant defectors from the Jewish power structure — David Cole, Alfred Lilienthal, and Benjamin H. Freedman come immediately to mind, and the latter was a millionaire who spent his fortune in exposing the actions of his co-racialists — but it was not enough. Today, even more than in 1920, the Jewish power structure is focused on undermining our racial identity and preventing us from achieving racial self-determination — in short, it is focused on their unstated but obvious goal of White genocide. There are Jews who oppose this, but their numbers are small and their power is negligible, even in their own community. In this eleventh hour for our people, we need to depend on ourselves alone. Our clarion call must be primarily to our own people — to awaken them to their great peril and even greater potential destiny, and to organize ourselves to achieve that destiny. We must build our own power structure, responsible to ourselves alone. The International Jew can be a tool for awakening White men and women, and helping them understand what went wrong and how they ended up a hounded, hated soon-to-be minority in the nations our forefathers created. Put this book in the hands of your friends, your neighbors, your children, and your co-workers. But do not fail to also tell them what Henry Ford did not: It’s up to us, and us alone, to build a new society on the ashes of the old, a new nation where clever aliens can never get their hands around our necks again, where they can never even gain a foothold, because they will be recognized for what they are. For increasing that recognition, for spreading that awareness, we will always give our thanks to Henry Ford. Great 2 part series on one of the heroes of our race, Henry Ford. Keep up the great work. I had recently found out that ADV had been re-launched back on December 28th of last year, and I’m excited about it. Thank you for all the work you have and are continuing to do Mr. Strom. It is greatly appreciated! Am really learning from your broadcasts, Mr. Strom. Today, so far, I’ve listened to five of them, and put several up on my Facebook page. Thank you. This was a great 2 part series, Kevin. Thank you!